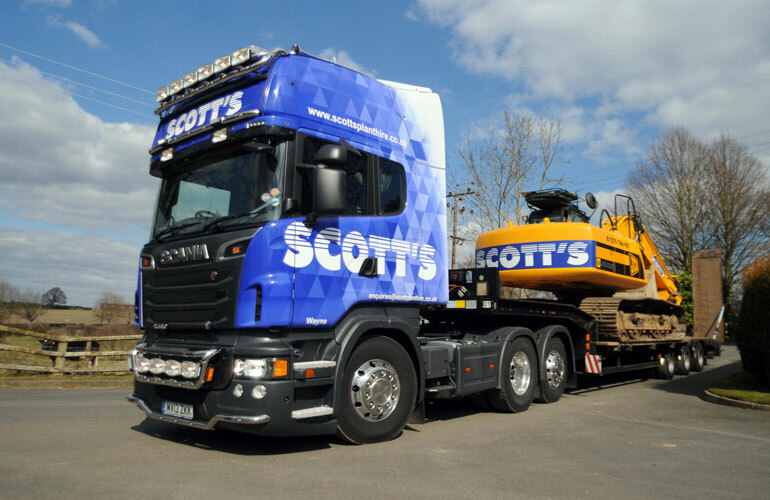 Scott’s Hire Ltd has come from a very humble beginning with Martin Smithson the current Managing Director purchasing it from the company’s founder Don Scott in 1998 who started the company over 30 years prior. At the time of purchasing it the depot ran out of a small yard attached to the previous owner’s property. The office consisted of a towable caravan and wagon to deliver machines. After 2 years Martin had built the business up sufficiently to be able to expand and finance the move to a larger yard in Macclesfield. With the business nearly doubling in size in this space of time. In 2000 Martin acquired Buxton Plant Hire from Derick Buxton based in Sandbach which doubled the size of the company once again and in the following years opened further depots in the Midlands and Manchester. At this time Martin became a firm believer in the high quality of Takeuchi machines and at one point was the largest buyer of Takeuchi excavators in the UK, though this has been surpassed when the rest of the industry clocked on to their high build quality and brilliant performance. In 2008 Martin developed and patented the Digadoc safety trailer for mini-excavators (more info can be found at www.digadoctrailers.co.uk) which has now developed into its own separate entity having signed a licensing agreement with Brian James Trailers. Scott’s continues to operate to the highest standard due to strong management, clear focus on customer satisfaction and lasting relationships with both large blue chip companies and smaller independent business alike.